We had a packed show this week. 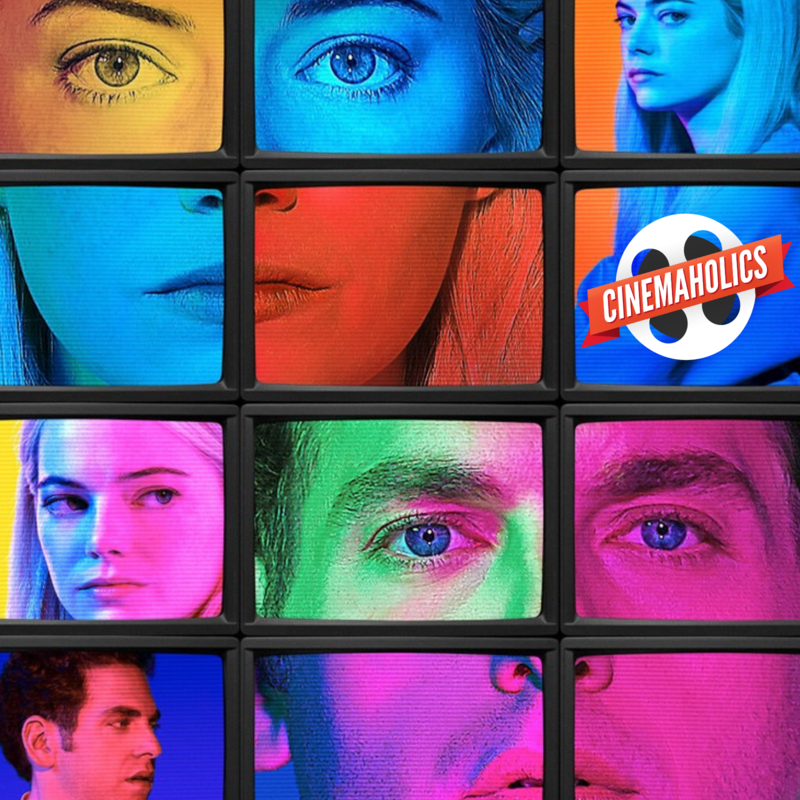 First we reviewed Maniac, the new Netflix limited series starring Jonah Hill and Emma Stone. We also reviewed the new animated film Smallfoot, and right before that you’ll hear my interview with Karey Kirkpatrick, the director of the film. For mini reviews, we also covered The Hate U Give, Hell Fest, Night School, and more. Next week: We’re planning on doing a double feature of Venom and A Star is Born. Help us decide which review comes first by voicing your opinion in the comments. You can also become a patron and vote in our poll. As most of you already know, our show is only possible because so many of you are spreading the word and sharing episodes with friends. We’re truly humbled by your emails, comments, and genuine interest in allowing Cinemaholics to continue. Thanks, all. Become a patron! Donate to this podcast on Patreon and get exclusive perks, like early access to bonus episodes, uncensored audio, and more. Every little bit counts! Leave us a review on Apple Podcasts. Yes, yes, I know it’s a hassle, but doing this ensures that our podcast stays afloat as we pay our bills and bring on new guests. For those of you who’ve already done this, thanks again for taking the time. Join our Facebook community. We’re steadily growing and finding new ways to talk to you all, and it’s great to find listeners from YouTube and podcasts mingling in the same group. Thanks again to all of you who’ve liked the page already. Follow us on Twitter. You’ll get all our latest updates, plus you can help us vote in polls that dictate which films we review, depending on the week! Check us out on YouTube. Subscribe to get full episodes every week, plus excerpts of some of our best reviews from the Cinemaholics archives. Email us! Tell us what you love and hate about the show by emailing cinemaholicspodcast(at)gmail.com. And feel free to ask us questions we can share over the air. My new ringtone is Maveryke screaming AMERICA! MANIAC was really good. I binged the whole season after listening to this episode on Sunday. I found it to be bizarre and beautifully constructed, while also cold and somewhat restrained in parts to Will’s points. I’m a strong B on this one. I’d be careful. That might be lethal. It’s Will Ashton! I think! Great to have you here, wow. Quick question while I have you; if you had to pick just one streaming service out there and your main goal is to watch movies, what would you pick? Yep, it’s me! I forgot that I changed my name on Twitter for Halloween. To answer your question, if you’re looking for films alone, I would probably go with FilmStruck. They have a great selection of film titles, including a number of classics, although they don’t carry many new titles. If you’re looking for some modern films, I might go with Amazon. They seem to have a wealth of new films, including several acclaimed indies, under their belt. Netflix is the best for television, and I don’t know know much about Hulu, admittedly. Anyway, I hope that helps and thanks for listening. Recently watched it. Smallfoot it pretty awesome series. Want to watch all episodes.